For the CIAO 4.5 / CalDB 4.5.8 release notes see How CalDB 4.5.8 Affects Your Analysis. The periodic ACIS T_GAIN correction upgrade for May - July 2013 has been released. 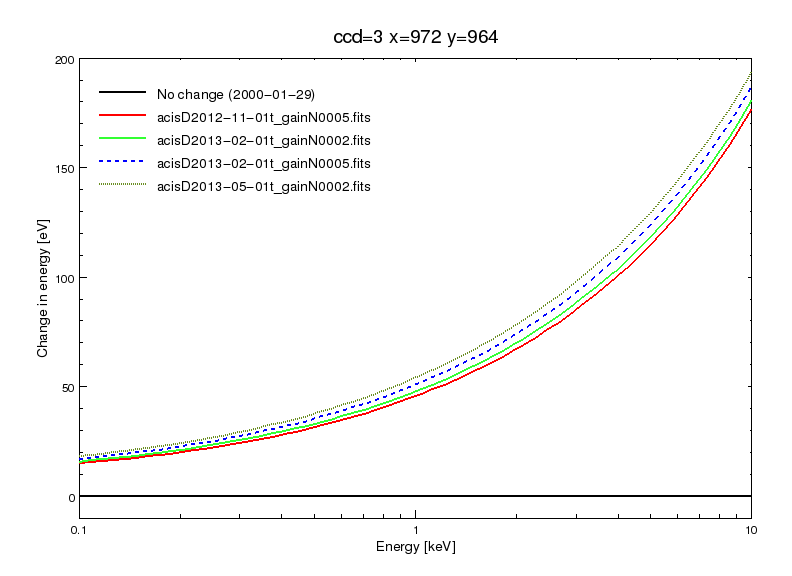 The corrections are at nominal/expected levels of less than 2% of the energy value. This upgrade as usual affects observation data taken over Epoch 54 and 53, and so would update PHAs for OBS_IDs taken since 01 Feb 2013. Users with such datasets are encouraged to revalidate their analysis results after reprocessing their data with the upgraded CalDB files. For specific details of the new calibrations in this release, see the technical details section below. 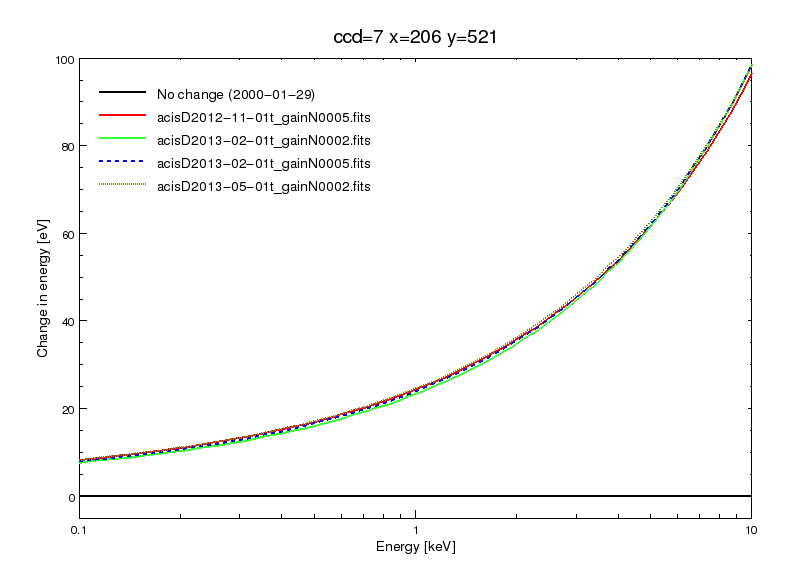 The ACIS time-dependent gain corrections (T_GAIN) have recently been updated for current changes from the previous T_GAIN epoch, specifically Epoch 54, which was May through July 2013. 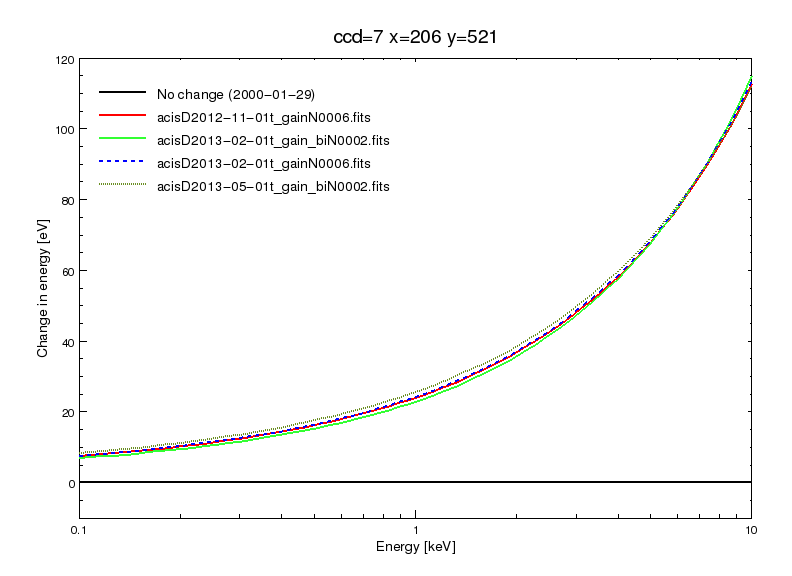 With the addition of these new corrections, derived from ACIS External Cal Source (ECS) data taken during radiation zone passes, the CalDB files extending from Jan 01 2012 through April 30, 2013 (i.e. Epoch 53) have been finalized, and new non-interpolating T_GAIN files are now implemented for Epoch 54. 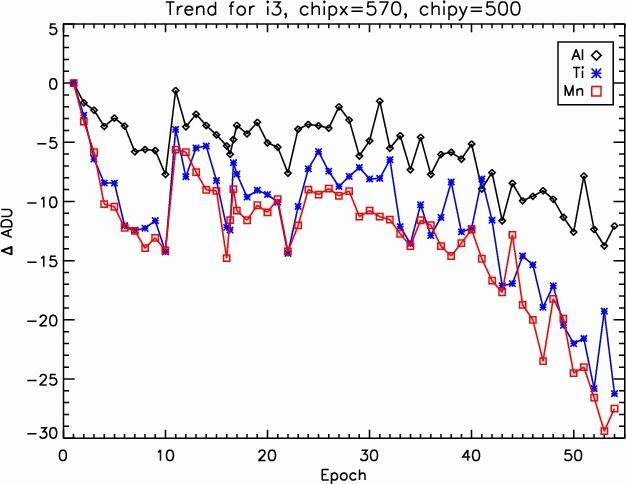 Long term trends for chips I3 and S3 are plotted below in Figure 4a and b, through Epoch 54, the latest release. The chip locations for these plots are given in the respective labels above the plots. Note that the locations are not the aimpoint positions, as with Figs. 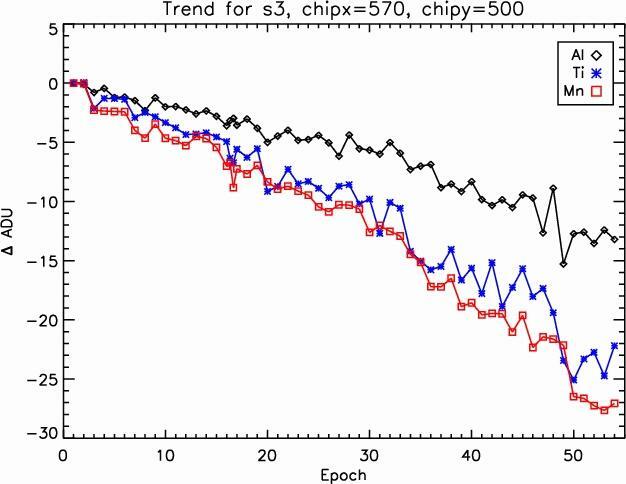 1-3 above, but are near the centers of each chip.